Movember Road at ARCC to support Movember! 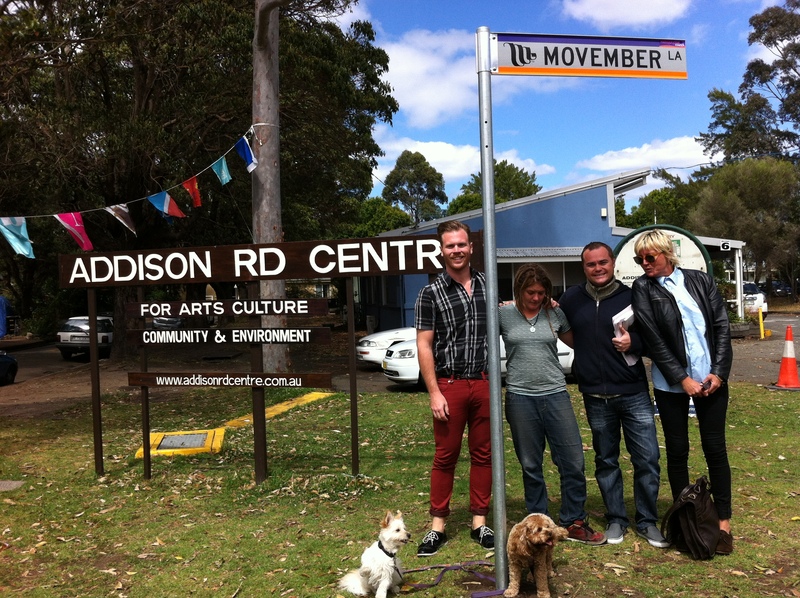 A first for Australia, The Addison Road Community Centre is now home to ‘Movember Road’ in support of the Movember event which aims to raise vital funds and awareness of men’s health issues, specifically prostate cancer and mental health. The new Marrickville Council street sign for Movember Road was installed and unveiled at the Centre this morning, Tuesday 23 October with representatives from Movember, The Addison Road Community Centre, Reverse Garbage and Marrickville Clr Mayor Victor Macri. This Sunday 28 October the Movember crew will also have a pop-up Barber Shop at the Sunday Organic Markets to give participants a clean shave before commencing their moustache growing feats for the duration of Movember.